Human. 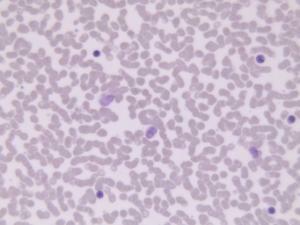 Peripheral blood. 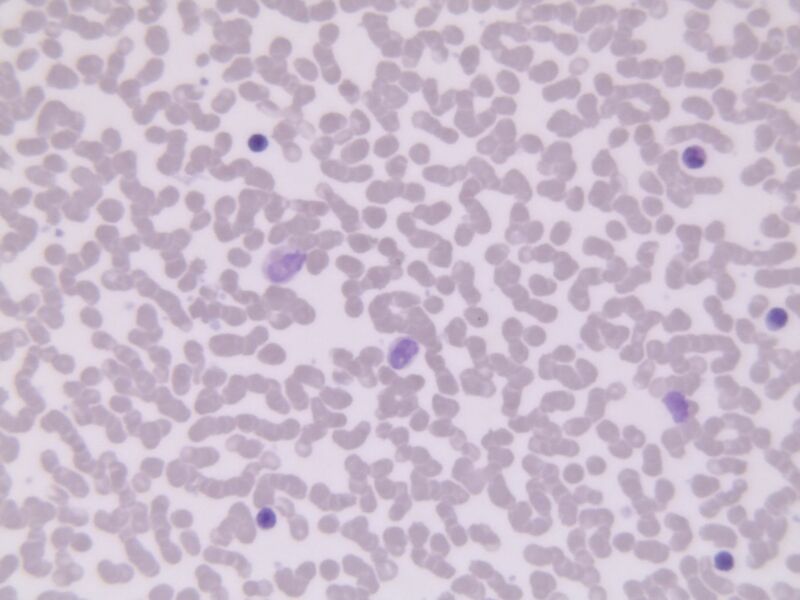 Lymphocyte predominance.